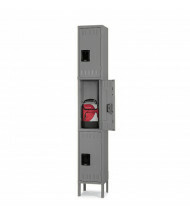 With over 40% in savings, our affordable selection of triple tier steel storage lockers are ready to securely store important items. 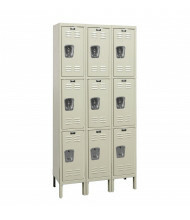 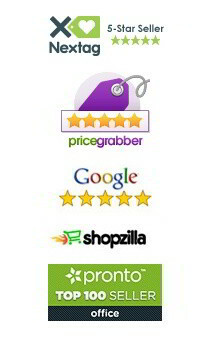 Quality brand Tennsco provides storage lockers with lasting appeal. 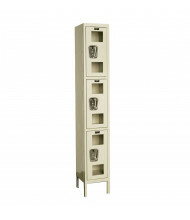 Available in different heights, depths, and opening sizes. 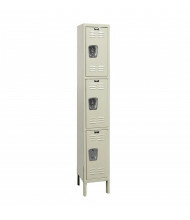 Triple tier steel lockers fit three times the individual storage per column compared to a single tier. 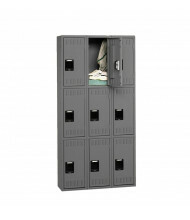 Better suited than a double tier locker when space is a concern yet many people need private storage accessibility. 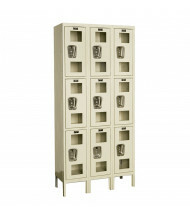 Assembled and unassembled options available. 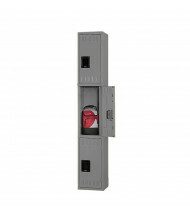 Color options include sand, medium grey, and black.